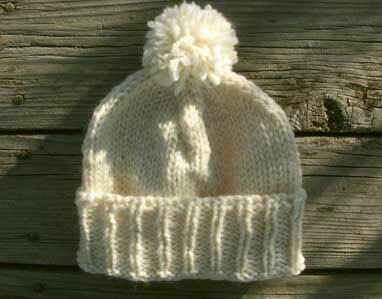 New Handmade Homespun Look Beanie with Pom Pom – Wear as a ski hat, slouchy, or watch hat. 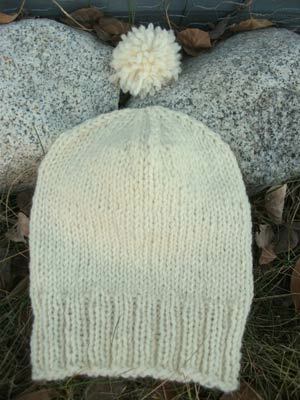 Ribbed brim keeps shape without stiffness. Pom pom buttons in securely. 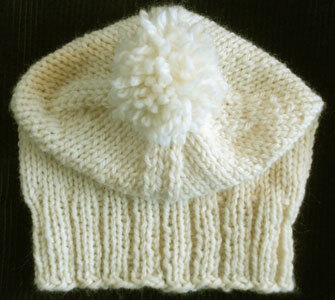 Knit in the round with chunky yarn, reversible, no seams. 100% wool yarn. Warm and Light. Medium Women’s, Teens – 18″ circumference stretches to 22″. Height: 11″. 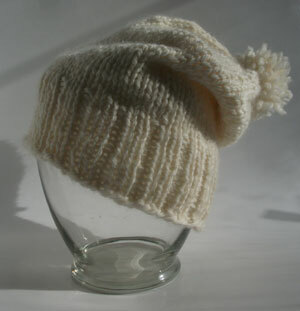 What makes it different: The hat is designed to be turned up for a narrow or wide brim, or leave down for a slouchy. The Native American sun design at the top of the hat shapes it to look and fit well for dress or sports. The pom pom buttons in or out.